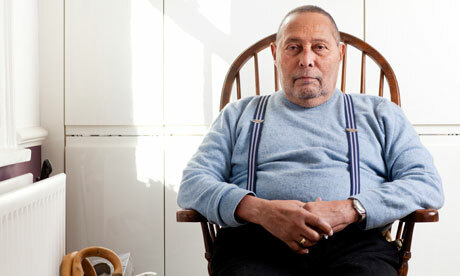 The cultural sociologist Stuart Hall has died at the age of 82. Arguably as much as any other, Hall has shaped the way we practice the sociology of youth today. He was the leading force and director of the Centre for Contemporary Cultural Studies at the University of Birmingham which gave youth researchers the concept of subculture as it is understood today. As the lead editor of Resistance through Ritual, Hall and his colleagues provided a way of understanding the spectacular youth groupings that emerged in 1970s Britain as shaped both by their age and their class position. These early explorations of cultural hegemony concluded that while any claim of a general youth culture could be contested as politically nefarious, young people did contribute to the emergence of distinctive youth subcultures based on local class identifications. This work gave youth researchers the tools to understand how young people formed cultural responses to their circumstances, enabling them to resist, even if only through ‘magical solutions’, the social processes that marginalised them. Even the many of us who believe that we need to rethink the meaning of youth cultures for news times (as Hall himself argued is necessary in the new preface to the 2nd edition of Resistance Through Ritual) continue frame these new approaches in relation to this classic work. Hall showed that everyday culture matters, giving insights into the structures of our society and how it can be challenged and changed. He did not abandon an analysis of structure. At the same time, culture needed to be understood in the contexts of these same structures and institutions. This challenge of understanding culture and structure together remains just as pertinent today as it was in the heyday of the Birmingham School. While Resistance through Ritual is probably the most influential of the Hall’s texts in youth studies, his book (again with Birmingham School colleagues) Policing the Crisis also provides profound insights into the experience of youth and its relation to social stratification. Policing the Crisis focused on new moral panics about mugging in 1970s Britain. This particular form of robbery was not new, and it appears unlikely that its incidence was increasing as crime statistics were clearly being manipulated for political purposes. What was new was the label of mugging, and the associations that were tied to it by the media and others. Hall and colleagues were not writing a book of straight criminology but a larger critique of the intersections of race, class and age in struggles over culture and political power. The State’s response to its own crisis of legitimacy was to manufacture a crisis of criminality. The targets of this exercise, a race-based moral panic were young black men who were victims of structural unemployment. Vale Stuart Hall. Without question his influence in my work, and youth studies, will live on. This entry was posted in Uncategorized and tagged Stuart Hall; youth sociology; Birmingham; cultural studies. Bookmark the permalink.